Bell and the carrier’s flanker brand Virgin Mobile have announced plans to increase the cost of ‘U.S. Roam Better’ and ‘Roam Sweet Roam‘ rates by $1 CAD to $8 per day. This change is effective on December 7th, 2018. 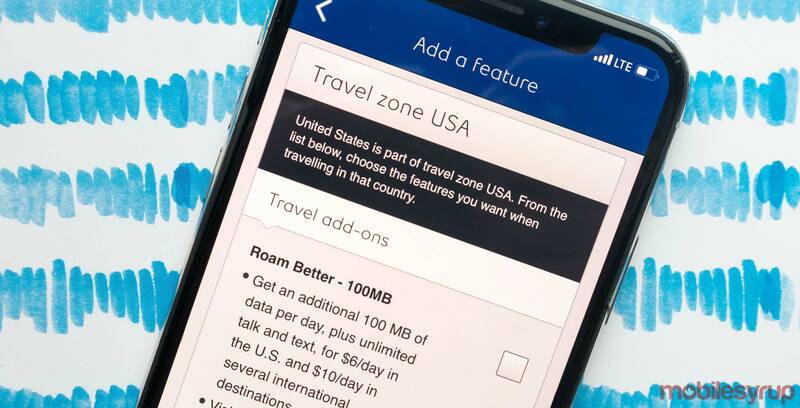 Roam Better and Roam Sweet Roam plans are available to customers travelling to the United States, Puerto Rico and the U.S. Virgin Islands, giving access to data, unlimited calling and texting. Bell and Virgin first launched the $6 per day roaming rates in November 2017, and subsequently increased the cost to $7 in February 2018. There is no indication that Bell or Virgin will increase the cost of international roaming, which currently costs $12 per day. At the time of publication of this story, Bell and Virgin’s competitors, including Rogers, Fido, Telus and Koodo, have currently no plans to increase U.S. roaming rates, which are currently priced at $7 per day. Freedom Mobile is offering U.S roaming for as low as $5 per day.